On August 9th, 2016 we made the following submission to the Minister of Environment and Climate Change, Catherine McKenna here in Halifax. Much of the information in here was taken from our affiliated unions. Many unions, in fact, have environment committees who are raising these same important issues. The Nova Scotia Federation of Labour is the central voice of organized labour in our province. We represent 80,000 unionized workers who work in all sectors of the economy in both the public and private sectors. We believe that responding to the climate crisis is one of our most urgent priorities now and will be over the coming decades. Climate change and other environmental problems are societal issues but their causes and impacts are not equally shared. Nova Scotia is particularly susceptible to climate change because most of our population lives along the coastline, and much of our infrastructure is located in vulnerable areas. 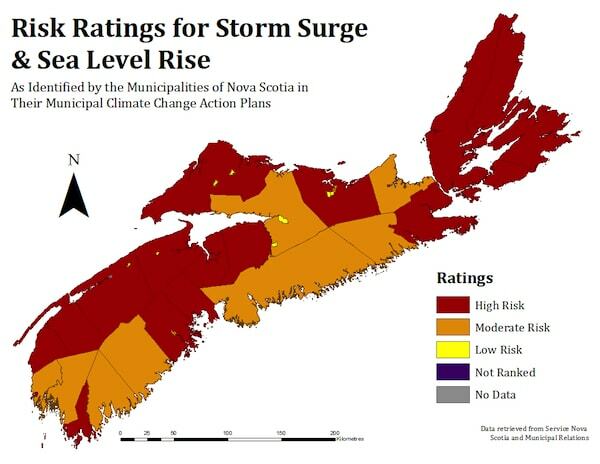 What does climate change mean for Nova Scotia? Together we must respond forcefully and without delay to the climate crisis. Climate change is already having significant negative impacts on workers and their communities. Rising ocean temperatures and prolonged dry spells are affecting production and employment in aquaculture, mining, farming, forestry and even oil and gas extraction. The science is clear if we continue to emit greenhouse gases at the current rate, the world risks further warming and lasting changes in the planet’s climate system, raising the likelihood of severe, widespread, and irreversible impacts on people, economies, and ecosystems. To have a reasonable chance of limiting global warming to a rise of 2°C this century and averting intolerable impacts on millions of people we must restrict future carbon emissions. According to the UN Intergovernmental Panel on Climate Change, in order to limit global warming to 2°C during this century, industrialized countries will have to reduce GHG emissions 40% to 70% below 2010 levels by 2050, and to near zero by 2100. G7 countries including Canada have committed to zero emissions by 2100, but it is possible to limit the risk of catastrophic warming and achieve near-zero emissions by 2050. This will require expanding the use of renewable energy like wind and solar power to generate electricity, and transitioning to a clean energy economy that depends less and less on fossil fuels. We know that for years, the federal government has been subsidizing the corporate emissions-heavy fossil fuel sectors. The International Monetary Fund pegs these subsidies at $34 billion each year. The Prime Minister recently pledged $100 million for research and development over four years to help the production of green technologies. Together we must find better ways to finance getting ideas off the drawing board, as well as improving government policies to incentivize shifting to these new technologies. The Liberal platform promised the creation of ‘green bonds’, though details on the size and scope of these bonds remain vague. Here is one idea that seems to be working in Nova Scotia and it’s about Insulating and converting homes and buildings so that they are more energy efficient. Halifax has a good program in place where the city helps people convert to renewable energy and its in its 2nd phase. Increased public investment such as in Halifax in sustainable energy, combined with public regulation of expanding renewable energy sources, will secure our sustainable energy future while promoting economic growth and job creation. Canada lags behind the rest of the world on the use of renewable energy, yet it has more renewable energy resources than most countries. Investment in the research, development, and promotion of clean and sustainable renewable energy will create jobs and reduce Canada’s reliance on fossil fuels. Energy efficiency can be increased in existing residential, commercial and institutional buildings through retrofits using qualified, certified and unionized workers. Large-scale retrofit programs can yield significant economic growth and job creation. They are the least expensive way to reduce emissions and create the greatest number of jobs per dollar invested. In Germany, retrofits of 300,000 homes and apartments each year have resulted in the creation of hundreds of thousands of jobs. Additional energy efficiency opportunities exist with respect to furnaces, water heaters, air conditioners, household appliances, and lighting. Let’s expand programs like the Halifax one into other municipalities. An investment in a $1.1 billion-dollar homes and buildings retrofit program could be designed to leverage $50 billion dollars in private expenditures, enough to create one million-person jobs in years of employment. 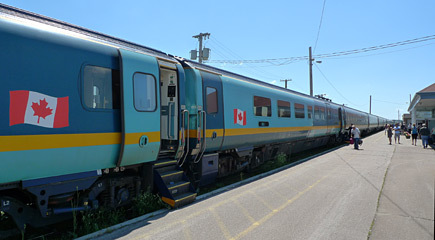 Nova Scotia has limited public transportation systems in public transit or rail. Many parts of the province just don’t have rail transportation, many towns do not have public transit. This should be seen as an opportunity to improve and expand low-emissions transportation and public transit. Climate change just may be the greatest opportunity of our era for economic growth and job creation. Economic and ecological transformation is possible and achievable but will require governments to commit to ambitious targets backed by substantial public investments. We believe the federal government must stop the province from moving ahead with toll roads or at least not commit to funding any part of this project. The big question is, do we need to twin highways, is that the best option and is their opportunity to do it better, more efficient and tackle the issue of safety all at the same time. It is estimated that for a fraction of twinning costs, we could establish affordable long-distance bus and rail options for Nova Scotians. The province has released the first phase of their privately contracted feasibility study into the further twinning of highways in Nova Scotia. Twinning highways are very expensive, and we must undertake an economic cost-benefit analysis before proceeding. Nova Scotia has a lot of asphalt roadways and for a report to assume the federal government will pay for half of the construction may be inaccurate. Why not improve safety by using the infrastructure we already have better, not by paving more? Let’s improve rail service, let’s start by upgrading the rail line between Halifax and Cape Breton. Some estimates peg the cost to upgrade that rail line at $30 million, 38 times less than the $1.2 billion estimates it would cost twin/improve the 4 sections of the 104 mentioned in the report. Having a sustainable green economy means that we must work to get vehicles off the road not put more on the road with bigger highways let’s put a plan in place to create a public system of buses into Halifax from the South Shore and Truro. There just isn’t a good reason why a service cannot be offered and such a service can be in place for far less than the cost of a twinned highway. Doing the same old thing doesn’t cut the mustard anymore. Let’s educate the public about building a public transit system as a way forward. Let’s do education of the economic feasibility of public transportation such as rail and busing systems compared to roads. The Federal government can look to have each province build a plan for mobility to look at the best ways to move people in ways that are green, safe, affordable and sustainable. We know that left to its own devices, the market will not undertake this transition fast enough and on the scale required to reduce the likelihood of catastrophic climate change. Nor will business-driven government policies. Converting our electricity into green power is another opportunity for our province, in fact, we like any province could be leaders in doing that if they choose to. We know that many other governments have already embarked on this transition. Denmark has committed to achieving 100% renewable energy in electricity and heat generation by 2035 and becoming 100% fossil-free by 2050. They are producing a whopping 39% of its electricity from wind (a world record) Three times their overall wind power production from 10 years ago. The country seems well positioned to meet its goal of harnessing 50% of its energy from renewables by 2020. Remember their long-term goal is to be free of fossil fuels by 2050. Denmark also has developed a solar road a novel idea that its time has come. 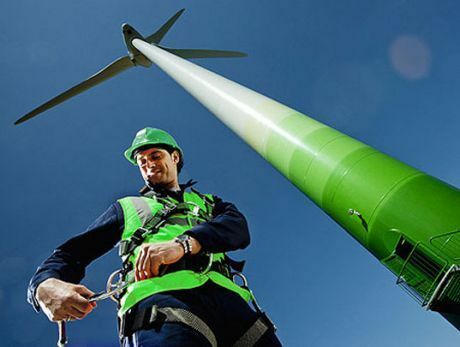 Germany set their own record for wind-generated power: 8.9 terawatt hours. With more offshore wind farms starting up in 2015, that record is not expected to last long. According to Renewable UK, wind generated enough power to provide electricity to 25% of U.K. homes in 2014. Scotland is aiming to reach 100% renewable energy in electricity generation by 2020. Iceland and Norway already generate 99% of their electricity from renewable sources. India’s is moving towards a $100 billion new solar investment target to increase its solar energy production to 100,000 megawatts over the next seven years. Clean energy currently only accounts for 1% of the country’s output. If they achieve their goal, solar alone would account for 10% of India’s energy mix. China is also becoming a renewable energy leader, according to a recent study in the Asia-Pacific Journal. In 2013, China’s wind, water and solar accounted for 20 percent of their generated energy. Out of the 100 gigawatts in new capacity, China added in 2013, 58% came from renewable sources. We must develop and diversify our economy and expand, not reduce public investment. Policymakers will not undertake the changes needed without pressure from the labour movement and our allies. The above points to just that, bold new investments. We have an opportunity to be a role model and we have a responsibility to set an example, in our province and country by ensuring we educate everyone including those who profit the most by their reliance on fossil fuels. We have an obligation to listen to scientists about climate change. For years, the Harper government deflected responsibility for not taking action to reduce GHG emissions and our country should be raising the bar, thinking outside the box, taking on bold steps and investing in green, clean energy. Just look at Quebec and B.C. where clean energy like wind, solar and hydro account for almost 24,000 jobs. On the other hand, the oil sands accounted for just over 22,000 and that number over the last few months is reduced with the downturn in oil prices. Green job creation programs should be combined with skills training and jobs development and the increased certification of contractors to support qualified certified trades in a broad range of occupations. A national green skills development initiative is important both to prepare the workforce for the skill requirements inherent in green jobs, and to ensure that green industries and workplaces do not face a shortage of adequately trained workers. Public education, training policy, and apprenticeship programs will need to be directed strongly toward participation in a low-carbon economy. Income assistance and training funds available through the Employment Insurance program will also help workers transition to new industries and occupations. Above all, this transition must proceed in consultation with workers and unions in the policy development process. Policies must be phased-in gradually according to a transparent schedule, so that workers and employers alike have the confidence, time and support needed to adjust. It was just one year ago that the Canadian Medical Association Voted for Divestment and Reinvestment by recommending a new fund, so Canada’s doctors can move their investments away from fossil fuel companies, exploring investments in renewable energy, and promoting the positive health impacts of pricing carbon emissions. The Canadian Medical Association representing the interests of more than 80,000 of the nation’s physicians. Our province has already seen some of the impacts of climate change. Major flooding events, losing coastline, infrastructure loss due to high sea level’s and floods have cost the Government a lot. According to data from the Insurance Bureau of Canada (IBC) water damage is now the leading cause of property damage in Canada. 2013 was the costliest year ever for Canada’s property and casualty insurers who paid out a record $3.2-billion as a result of extreme weather events. There are many examples of catastrophic floods across Nova Scotia, such as the record storm surge flooding along the Bay of Fundy coastline during the Saxby Gale of 1869 There was serious flooding in Oxford and Truro in 2003 resulting from heavy rainfall. Since 1999, the province has provided emergency disaster financial assistance programs on 13 different occasions for weather-related events, including flooding. These programs help restore and repair public and private infrastructure that is not insurable, such as damages from overland flooding and storm surge. In Nova Scotia, these payments have exceeded $100 million, but these figures underestimate the true economic, social and environmental impact of the problem. As a result of climate change sea level rise, changing precipitation patterns and altered frequency and severity of extreme weather events, are anticipated to increase the risk and potential impacts of flooding over time. Flooding is of particular concern when it intersects with communities, putting people’s health and prosperity at risk. A number of Nova Scotia government departments and agencies are engaged in flood-related activities, including the Nova Scotia Department of Agriculture (NSDA) The NSDA Land Protection Section is responsible for the management and maintenance of 240 kilometers of tidal dykes (including 260 aboiteau structures) along the Bay of Fundy for the purpose of protecting 17,400 hectares of agricultural land (marsh bodies) from seawater incursions. Dept. of transportation in Nova Scotia is responsible for delivering quality public infrastructure for Nova Scotia and deal with approximately 23,000 km of roads, 4,100 bridges, 7 ferries, and 2,400 buildings. All municipalities have submitted a Municipal Climate Change Action Plan to the province. Each plan outlines priorities for climate change (adaptation and mitigation) and describes the range of actions the municipality will undertake to address climate impacts. In many communities, flooding has been identified as a significant concern and is a top priority for taking action on climate change adaptation. 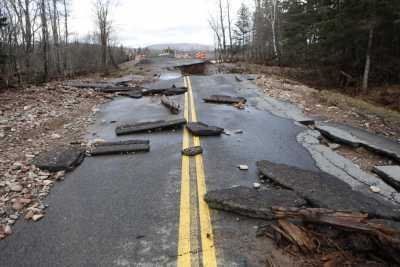 The most serious floods seem to happen following a winter of heavy snowfall. The event of April 2-10, 1962, which affected almost the entire province, was caused by heavy rain during the spring snowmelt. Also, during this event, the ice cover broke up and jammed, exacerbating the situation. As in the other Atlantic provinces, ice jams have contributed destructively during winter thaws and the spring. For example, during the January thaw of 1956, ice jams destroyed more than 100 bridges across the province. Tropical or hurricane-type storms also have caused extensive flooding in the province. About $5.1 million ($20.4 million in 1998 dollars) in damages were sustained in August 1971 during Hurricane Beth. Other major tropical storms resulting in floods were Hurricane Ethel in 1964, Hurricane Gladys in 1968, and the hurricane-like storms of September 1936 and August 1950. Cyclonic storms have also produced heavy rainfall with serious flooding throughout the province, such as occurred during the flood of October 10-11, 1967. Unusually high tides have damaged the coastline, but the most destructive coastline flooding has been a consequence of storm surges accompanying hurricane and cyclonic storms. The “Groundhog Day Storm” of February 2-3, 1976, battered all coastal areas of the province. The original estimates of storm damage exceeded $10 million ($24.9 million in 1998 dollars). Our economy, infrastructure, and ecosystems are already affected by climate change, and that climate risks have significant implications for the economic and social development prospects of provinces and territories; It’s our belief that most of society does recognize that the cost of inaction is greater than the cost of action with regards to GHG emissions mitigation and adaptation to the impacts of climate change. That investing in the fight against climate change, especially in areas such as renewable energy, energy efficiency, and cleaner energy production, holds great promise for sustainable economic development and long-term job creation. The One Million Climate Jobs plan jointly proposed by the Canadian Labour Congress and the Green Economy Network called “One Million Climate Jobs: A Challenge for Canada.” This plan lays out a framework for job creation in various sectors that would help to reduce unemployment and underemployment in Canada, while at the same time reducing Canada’s carbon emissions. It will move us closer to a low carbon economy. This plan, although ambitious, is achievable, science-based and will significantly reduce Canada’s greenhouse gas emissions. Investing $23.3 billion in public renewable energy over 5 years will create 290,000 jobs and reducing Canada’s overall emissions between 44 and 110 million metric tonnes per year. Investing $30 billion to increase the energy efficiency of Canada’s buildings residential and commercial and public will help in creating about 438,000 jobs and reduce emissions between 32 and 126 million metric tonnes per year. Such investments can help with the transition of workers displaced as polluting industries are eliminated. It will also help industries suffering from the impacts of climate change, the unemployed and underemployed. Much of the information we shared has been taken from the different unions and can be found on the websites of many unions who have environment committees. Previous Post What matters more, traffic flow or human lives?